Outstanding achievers from within the region’s public relations professionals were honoured last night at the prestigious 2012 Wessex & Channel Islands CIPR PRide Awards. Among winners and finalists at a gala event held at The Ageas Bowl in Southampton, Remarkable Group picked up six gold awards in categories including ‘Best Use of Social Media’ and the award for ‘Outstanding Public Relations Consultancy’. 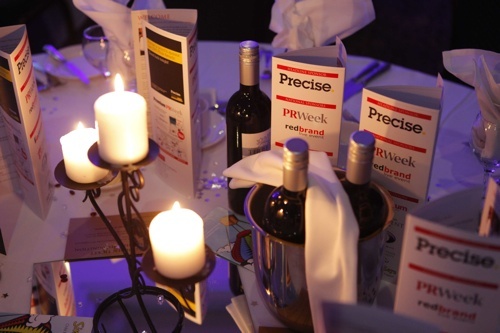 McKenna Townsend PR collected three gold and four silver awards, and Southampton Solent University won a gold award for their community relations campaign which was also named as the campaign with the ‘Best use of Measurement & Evaluation’. Over 120 of the region’s leading public relations practitioners attended the annual awards ceremony, sponsored regionally by Capital FM, Dan Wilson Photography, Mallorca Farmhouses and Southampton Solent University and hosted by Capital FM South Coast presenter Zoe Hanson. PRide Award winners survive a rigorous judging process by a national panel of industry experts. This year’s Wessex & Channel Islands awards saw prizes awarded in 20 different categories, with 11 different organisations and individuals walking away with the top prizes. Corporate and Business Communications: Office Depot and Smarts England - How Clean is Your Desk? Public Sector: McKenna Townsend PR - Digital UK - three months to go!